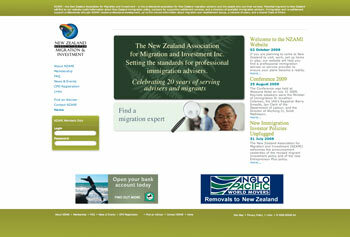 NZAMI - the New Zealand Association for Migration and Investment - is the professional association for New Zealand migration advisors and the people who use their services. Potential migrants to New Zealand will find on this website useful information about New Zealand immigration policy, contacts for supportive settlement services, and a directory of specialist immigration advisers. Immigration and re-settlement support professionals who join NZAMI receive professional development, up to the minute information about migration and resettlement issues, a network of peers, and a shared Code of Ethics.